Each team will have a max roster of 12 full time players, plus an optional 2 practice only player. 2018 - 2019 TRYOUTS information and player requirements. $25.00 player fee for tryouts, includes player t-shirt. WYSC encourages players to attend multiple club tryouts. Participation in WYSC tryouts does not imply acceptance to club or team. 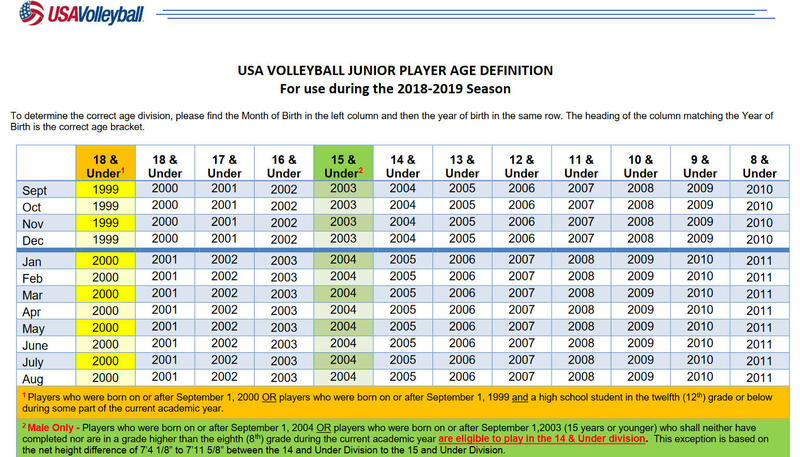 Players attending Tryouts need to verify the USA Volleyball Junior Player Age Definition Chart below to ensure team eligibility. Before attending WYSC tryout players must complete the following 2 steps. All athletes must register with USAV through the CHRVA before they can attend WYSC's tryouts. This is REQUIRED regardless of which club you are planning to try out for. You only need to register once regarding if you plan to attend tryouts at multiple clubs. As a member of the USAV, we at WYSC, will not be able to admitted players to our club’s tryouts without the USAV membership card that you receive upon completing the CHRVA registration. This process can only be completed online. 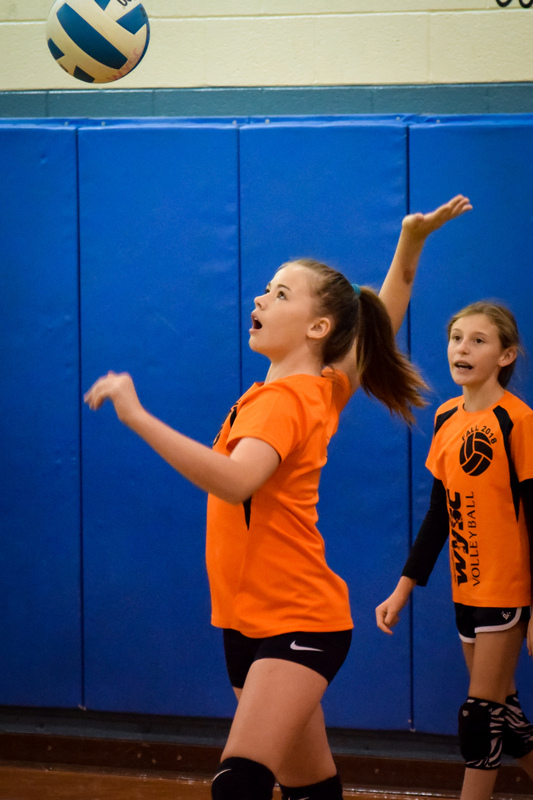 Check the USAV age definition to determine which age group to register with. WYSC is looking to roster teams with age appropriate players. Players playing up is discouraged. You will be asked to pay $55 for your USAV seasonal membership. There is also an option to pay $20 for a "one event membership" this will allow your child to attend tryouts during the tryout period. Please make sure you enter the tryout date if using this option so your membership will be up to date on the day of tryouts. Once you make a team you can then pay the remaining $35 by upgrading to a full membership. Complete Registration with WYSC. Access WYSC tryout registration page to provide us with your tryout information. Hope to see you at the tryouts. Best of luck !